The Pensylvania 18th District Special Election was held on Tuesday. The contest puts pretend moderate Conor Lamb, who is running as a conservative, against conservative Republican Rick Saccone. 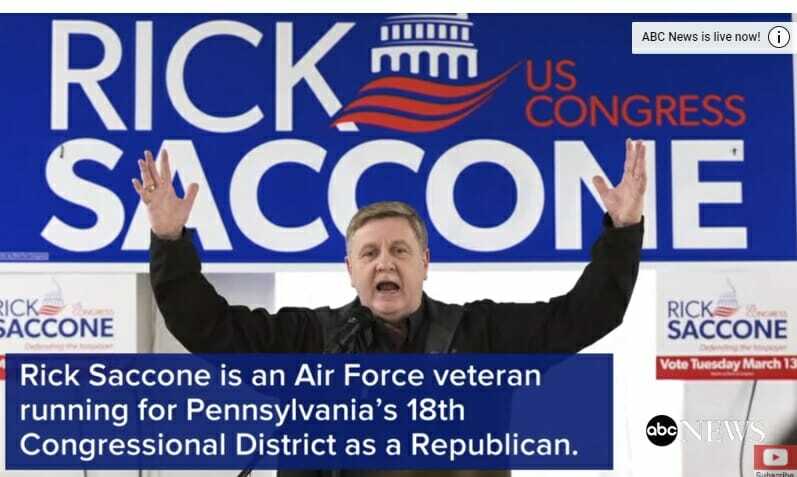 Saccone is an Air Force veteran. 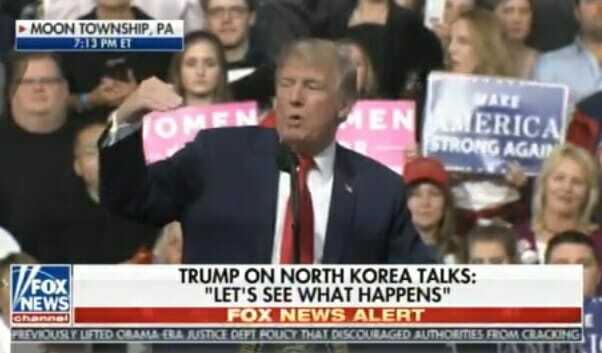 President Trump campaigned for Saccone on Saturday in a rousing campaign speech. Lamb is an energetic, young, attractive Democrat pretending to be conservative. Saccone is a true conservative but lacks the charisma of the younger Democrat. Democrats in Middle America ALWAYS run as moderates and then get to Washington and vote with Nancy Pelosi at least 80% of the time. Update: with 72% reporting Lamb leads by 4%. Update: With 87% of precincts reporting Lamb leads by 2%. Conservative Mike Cernovich is live-streaming the results tonight. Update: With 96% reporting the race is down to .4% lead for Lamb. Update: With 98% of precincts reporting Lamb leads by .3%. Update: With 99% of precints reporting the race is tied. There are 6,000 or 7,000 absentee ballots left to count. Two precincts will not count ballots tonight.